There is no denying that digital marketing is fiercely competitive. In the sea of information constantly available to online audiences, it’s important for businesses who have a blog to have a solid content marketing strategy that provides maximum return of investment and this means providing content with the most impact to audiences and effectively converting leads to sales. While 81% of marketers agree that content marketing through a business blog is among the most effective solutions for lead generation and conversion, the actual execution can be challenging. In business blogging, the biggest challenge is not writing itself; it’s deciding what to write about that encourages readers to become paying customers. Everything about your marketing strategy—whether for your blog, social media posts, and whatnot—should revolve around your target audience. Make your blog posts all about their interests, needs, wants, and challenges. Go to where your audience is and listen to them. Forums and sites like Reddit and Quora are great resources to find relevant topics and questions that your target audience is talking about. Regularly engage with your audience through your social media channels to get some insight on their interests and needs. You can also get into more detail on their challenges and problems by sending out surveys or questionnaires. The important point is to listen to your audiences and timely respond to their needs through your blog posts. Keyword research can help you find out which keywords and keyword phrases are most relevant to your industry and your business; in turn, this aids you in writing content that’s not only appealing to your customers but also optimized for SEO. Google Adwords Keyword Planner, Wordstream, and Keyword Tool are great tools to use for your keyword research. You can also use the Autocomplete feature in Google Search. Enter the first few words of your target keyword phrase on the search engine bar and take note of Google’s predictions as you type. You can also get content ideas through Google’s Related Searches feature at the bottom of the search engine results page (SERP). Some topics come and go, and as a business, it’s important to be up to date with the latest trends and news in your industry. 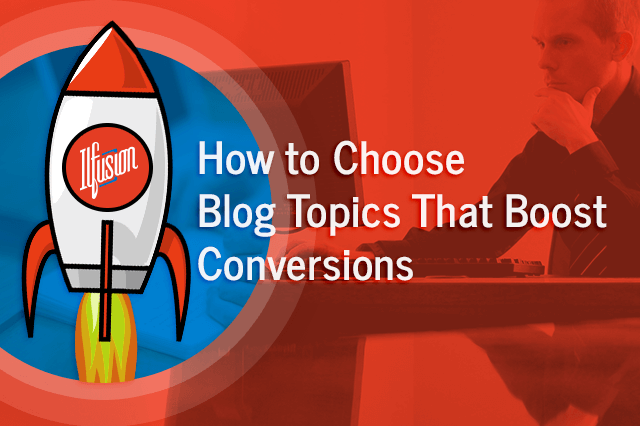 Discover the most popular topics that are relevant to your business by using tools such as BuzzSumo, EpicBeat, and Feedly. These tools identify the top articles from various sites based on the total number of engagement and shares. You can also filter the dates to see which topics are most popular for the last 24 hours, the past 3 days, the past week, and so forth. Searching for news relevant to your industry through Google News and BuzzSumo’s Trending Now feature can also help you identify topics to write about for your blog. Forums like Reddit and discussions on Facebook groups are also great places to discover trending topics. Looking at content from other businesses in your field is also a good way to find new blog topics to write about. Always be aware of what your key competitors are saying; after all, they are also trying to reach the same audience as you are. Make a list of the top five blogs in your industry that you admire, or a list of your closest competitors. Take note of their most recent and most popular articles. Ask yourself how you can repurpose the topics to make it more appealing, engaging, and entertaining. A key thing to remember when drawing inspiration from competitors is to ensure that your take on the topic is fresh and new, and that your content is not a complete rip-off of their article. Sometimes, searching for topics to write about may not be as far from the source—you can begin by looking at the core of your brand: what you do, what you believe in, what virtues you value, and what makes your brand unique. Audiences love a brand that they can relate to. Writing about topics that resonate your brand’s personality puts a human touch to your business and thereby forging a bond between you and your audience. Compelling audiences to take a desired action, such as a purchase or a newsletter signup, relies heavily on how well you create content that is relevant to them. Business blogging is a long-term commitment that, when done properly, can help you reap maximum benefits for your brand, the main one being effectively converting leads to sales. If you want to know more about content marketing and other digital marketing strategies, Ilfusion has the best resources to help you out. Give us a call at 888-420-5115, or send us an email to creative@ilfusion.com.